There is something very exciting about off roading. That feeling of driving where on one has driven before, the joy of exploration simply for the sake of it. It’s fantastic. Of course, if you prefer the thrill of the off road experience, the high speed, break neck, sometimes literally, then by all means, but no matter your intention, when you off the beaten path, and forge your own destiny, you are at some point going to need to see through the murky blackness. High beams are for chumps, real off roaders invest in a light bar. More specifically a Cree LED light bar. Bear in mind the size of the vehicle you’re driving. I have a whole host of options reviewed already, from the tiny 12″ to the massive 50+ inch, and it is up to you to decide what to buy, and where to stick it. It does you no good buying a giant light bar and trying to fit it to your ATV, though I do have a standing challenge to anyone out there who wants to stick a 50″ monster on their All terrain vehicle, take a picture and send it to me. I will put it in all of my LED light bar articles. It has been a long while since I’ve looked into this world and tested what I’ve found. But I feel it all coming back to me as I type. 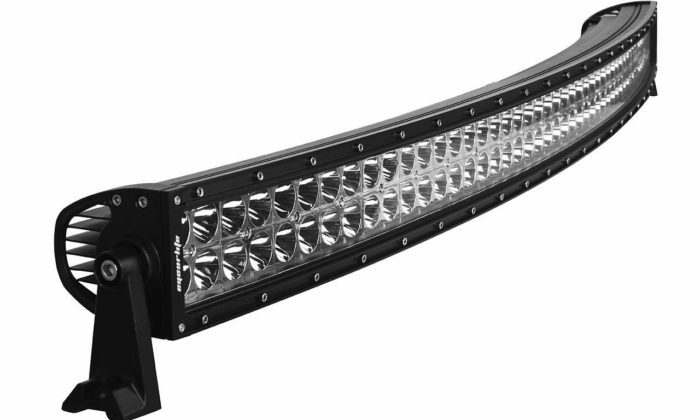 Today I will be going in depth on one of my favorite budget light bar options, the 52″ curved from EyourLife. EyourLife products are famed for their balance. A blend between long life, powerful lumen output, and good durability. Not to mention the price, there are only a few firms in this price point that I would recommend. 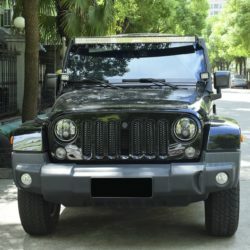 there is only one downside though, and that is in the customer support department, but there is literally no light bar company that can offer what EyourLife do and maintain a high level of customer support, it is the trade off you make. EyourLife is one of the mid sized players in the world of LED light bars. they have only a small online presence, and mainly sell their wares to other retailers to sell to you. I am not a fan of middle men, but the price of the bars is still very affordable, in spite of the middle man. They have a reputation for excellence in the field, and their products are highly sought after. One of the first things you will notice about this model of LED Light bar is the curve to it. Curved LED light bars are some of my favorites on the market. It’s all about the two kinds of light a bar can emit. Mostly you have to choose between an alright flood and a damn fine spot, or vice versa. Not the case with a curved bar. The curve increases the range and quality of the flood light, while having only a minimal impact on the quality of the spot light, giving you the best of both worlds. When it comes to core LED light bar quality there is really only one place to look. The IP rating. IP rating stands for ingress protection rating, and the two numbers correspond to the level of protection from the elements you can expect in the bar. The EyourLife 52″ curved LED light bar is IP rated to 68. The first number is the protection from particles, and 6 is the highest. You could smother this bar in sand and mud for a day and it will still work like new. The second number is the water protection, and it goes all the way to 9+. A rating of 8 is good for 2m submersion in liquid, so unless you plan on filling this bar to your one man submarine, you are more than sorted in that department as well. When it comes to the output EyourLife can stand with the best of them. The total Lumen out is 18000LM. It;’s a little less bright than the equivalent Auxbeam build, but it should last a little longer to compensate. Power consumption is at 300W, give or take, which is standard for this size of LED light bar. The flood beam range is 60 degrees, while the spot is 30. You can expect around 50,000 hours of use out of this one too. 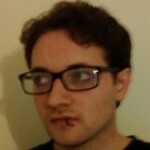 Overall a fairly standard package, with the exception of the IP rating. Most other bars in the price category top out at IP 67, and while the water protection is less important in the wilderness, it is still nice to know that this light bar can be used in a variety of settings with ease. Okay, first the good news. The price is astounding. You can get the EyourLife 52″ curved LED light bar for around $200 these days. I have it on good authority that it is on offer in many places right now, and this article will be updated every so often when it goes down again. I know you can get it on Amazon.com with a substantial discount, but prices constantly change so you will have to be quick about it. I mentioned that these are highly sought after. The bad news. The customer support policies are less than amazing. You have 1 month after purchase to return the product if you don’t want it, and there is a year of limited warranty as well, but that is about it. The year limited warranty only covers defects as well. Though, and hear me out here, the EyourLife 52″ Curved LED light bar is UIP rated to 68. that is one of the top ratings you can get, and if it busts within a year I think it is easy to argue that there was a factory fault. I mean, unless you are hitting the thing with a sledgehammer, or driving a stock car, you really should be covered, right? I unfortunately cannot find anyone who has gone through the process of having their bar fixed or replaced, so I cannot comment. I merely advise you know going in that if it breaks you’re probably buying a new one. EyourLife 52″ LED Light Bar – Is it the Right LED Light Bar for You? Easy question with an easy answer. Do you need a 52″ LED light bar? If yes then keep going. Are you short on cash? If yes then keep going. Do you mind having to buy a whole new bar in the unlikely event that this one breaks? If no then you have your answer. The EyourLife has clear upsides and clear downsides. I’d say go for it, especially if it’s your first bar. You lose very little and you can get a feel for the products. If you feel like upgrading there are plenty of options out there that, while much, much more expensive, come with lifetime guarantees. Best to look to the EyourLife first though. To take advantage of the current price discounts you can visit Amazon.com and get the product at the discounted rate by clicking here.